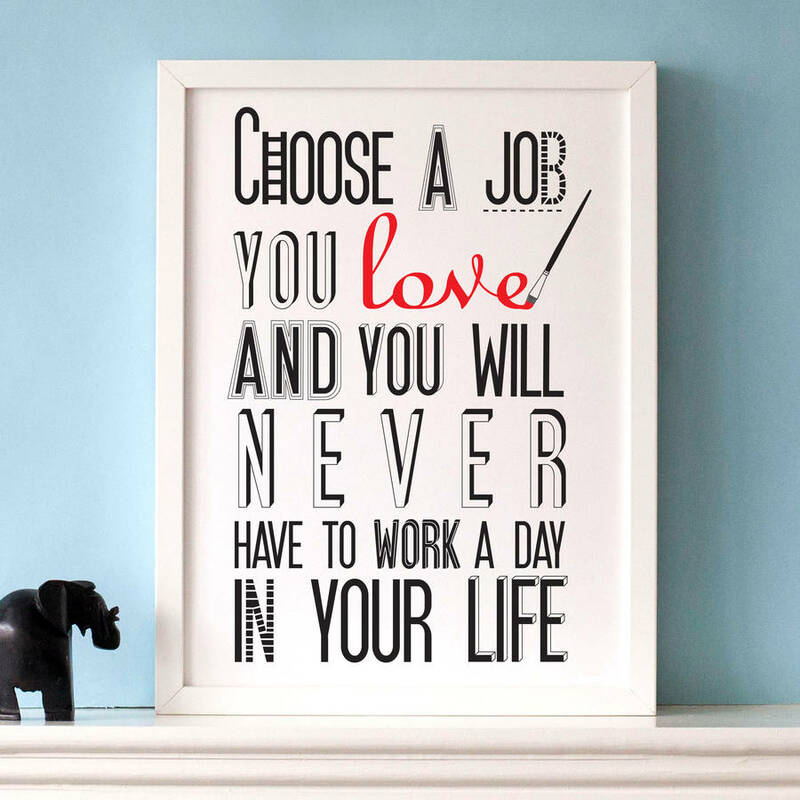 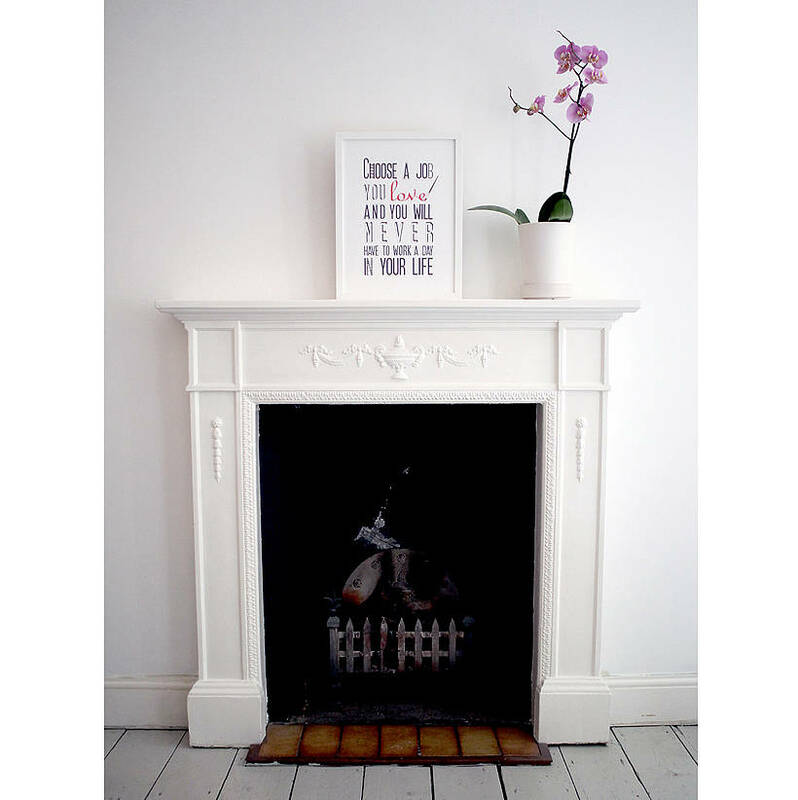 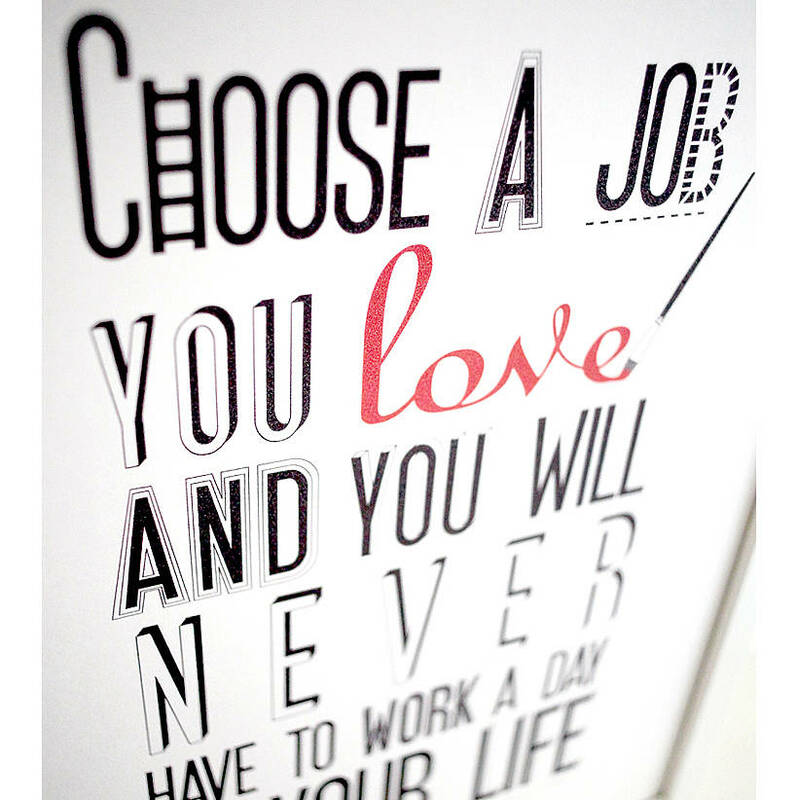 Typographic print with an inspirational message -‘Choose a job you love and you will never have to work a day in your life’. 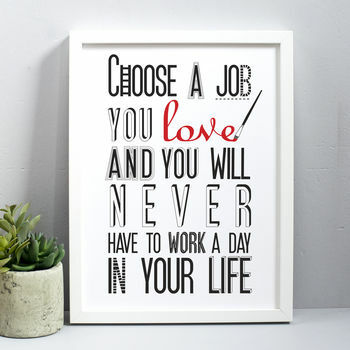 We all want a job we love and even if you are still searching for you dream role this print will inspire and remind you to follow your passion! 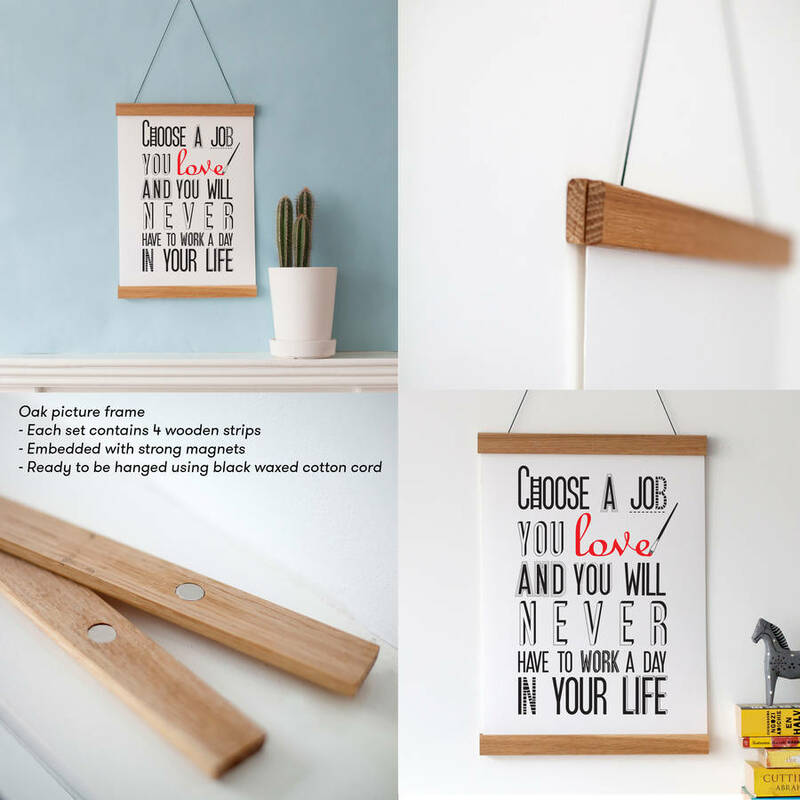 The inspirational message will make a perfect gift to celebrate a new job. 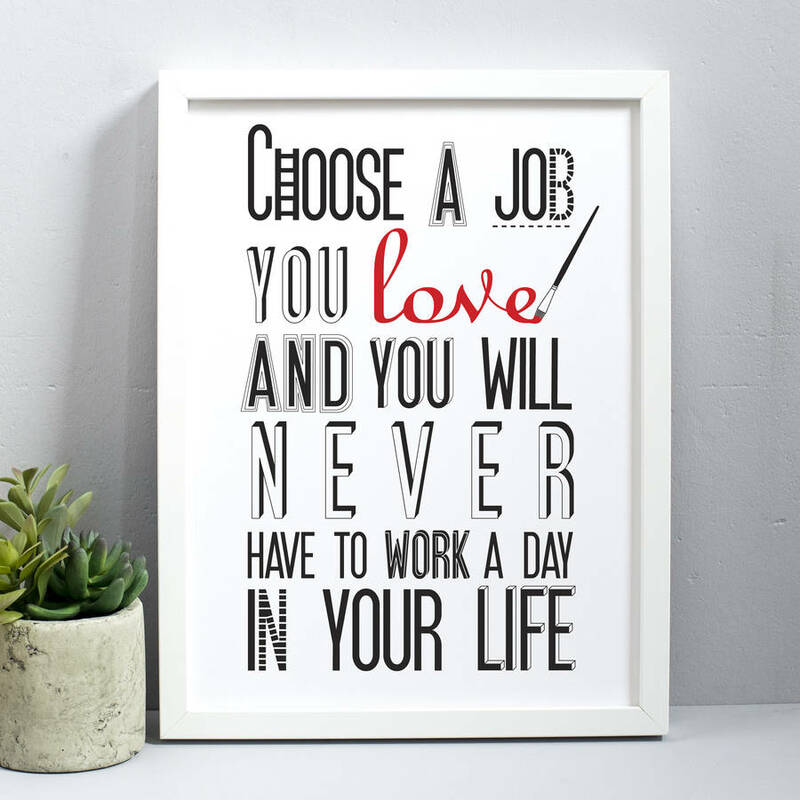 Printed onto white heavy matte cartridge paper 220gsm.